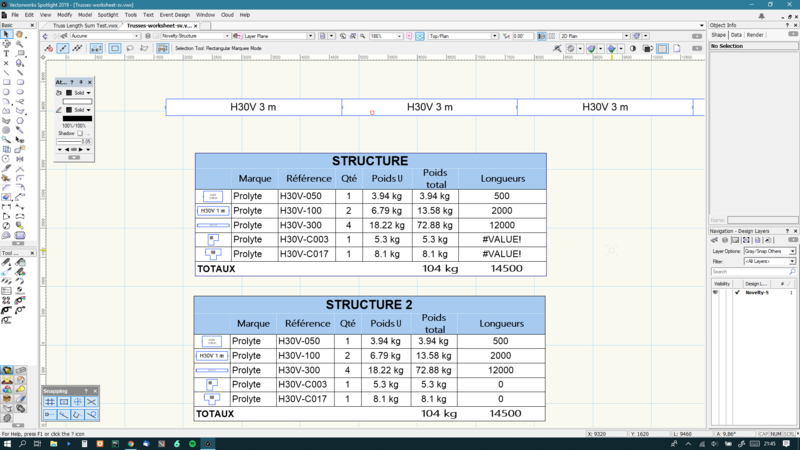 In my truss worksheet (with spotlight truss tool), I want to display total weight of the system, and total length. 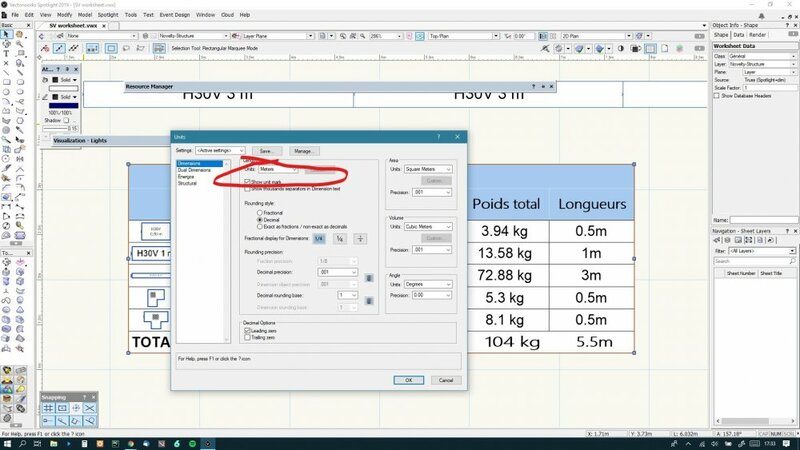 No problem for total weight, but the same formula can't calculate total length. The results are always the number of truss that have truss length record in database. And systematically, each row length field is followed by "mm". Perhaps, it is why sum can't be calculate? If i build with symbols trusses instead of truss tool, there is no problem to calculate total length of system. Can you post the files that have your worksheets? 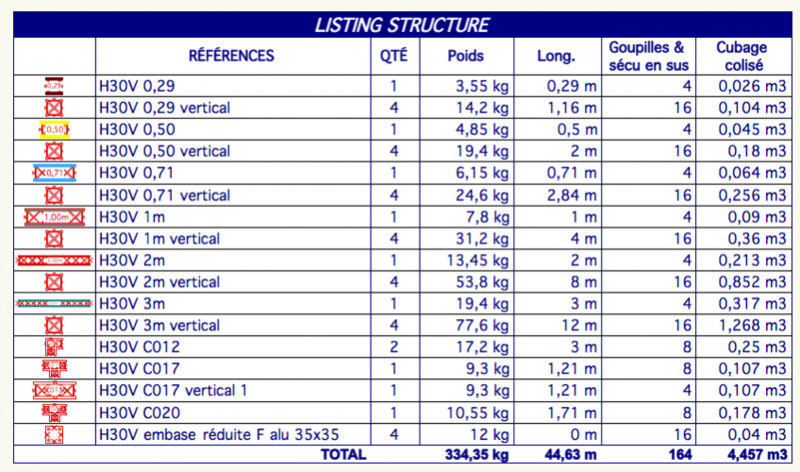 I was able to make a simple worksheet database report of straight truss instances and sum the length column. Have you test my file? may I have yours to compare it whith mine? @David Dauphin I have no pc right now but try =VALUE() function. May be this is a text field. I threw that example away, but I made another one. However, I opened your file, and I saw what you see which is very strange. My file is attached here. @David Dauphin Is this a solution for your problem? @Sam Jones Do you known difference between Truss Record and TrussItem? @Robert Janiak @Sam Jones thank you guys ! Yes Robert it solves my problem with 'trussitem' THANKS !!! Me too I would like to know difference beetween TrussItem and Truss Record. 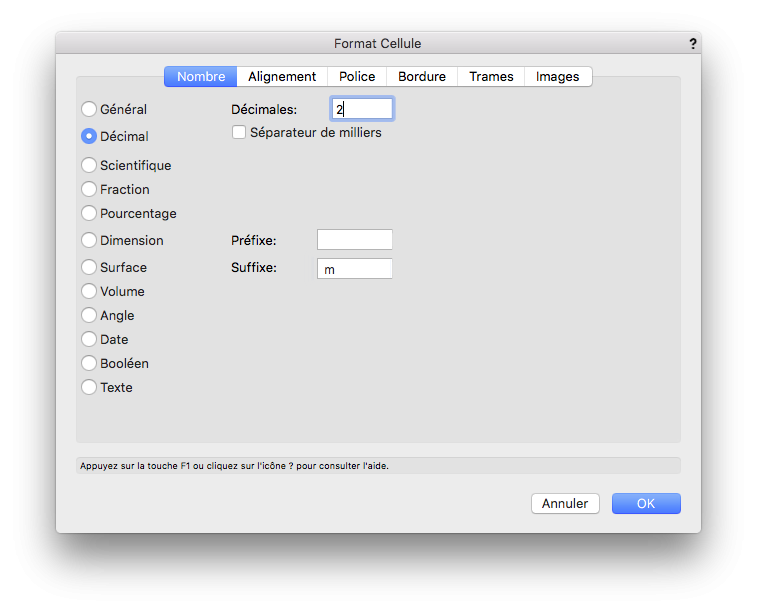 Do you know how I can display my unit file after formula "=SOMME(G3)"
It's not good to add "suffix" because if unit changes then "suffix" you added don't change automatically. It may be a field like FileUnit or something like that ? @David Dauphin I have no idea how do that. I am looking answer too. It is very strange that lenght have no suffix even if enabled in unit setup. 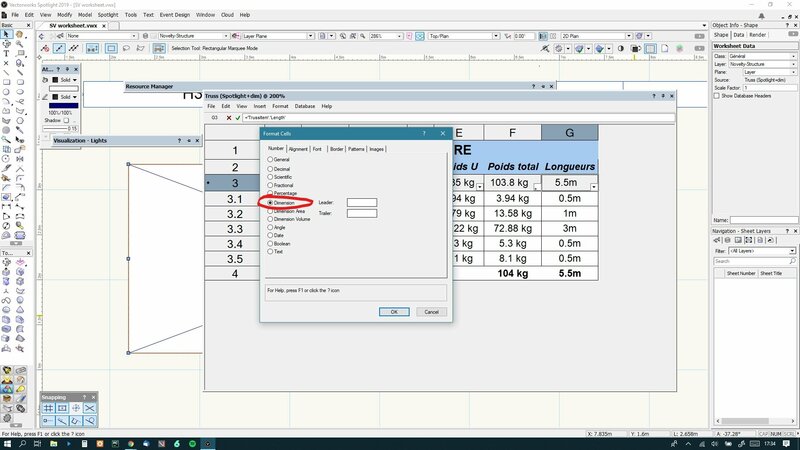 You sould set unit and show unit mark in Unit dialog box then set Dimmension cell format in worksheet. @Robert Janiak Thanks Robert, yes this method is OK. But usually, I don't show unit mark in my drawings. That's why I would like to have function like 'UnitFile' in my worksheets. I named the truss in the truss creation dialogue but wish to count multiple instances with the same name. I am creating a quick rectangular truss grid over a studio. I dont want name each instance with a seperate name in the object info but want all truss created to be named Purple, then count just the instances of truss for Purple.